We have seen many tremendous breakthroughs within the medical field recently, thanks in a large part to 3D printing technology. There are tremendous benefits of using this up-and-coming means of production to aid in more advanced surgeries, that previously may not have been possible. For one 40-year-old Chinese man, named Yang Xue-bin, 3D printing literally gave him his legs and his life back, after being diagnosed with cervical spinal stenosis, a debilitating medical condition that quickly unleashed its wrath on Xue-bin, leaving him unable to walk in just a matter of days. 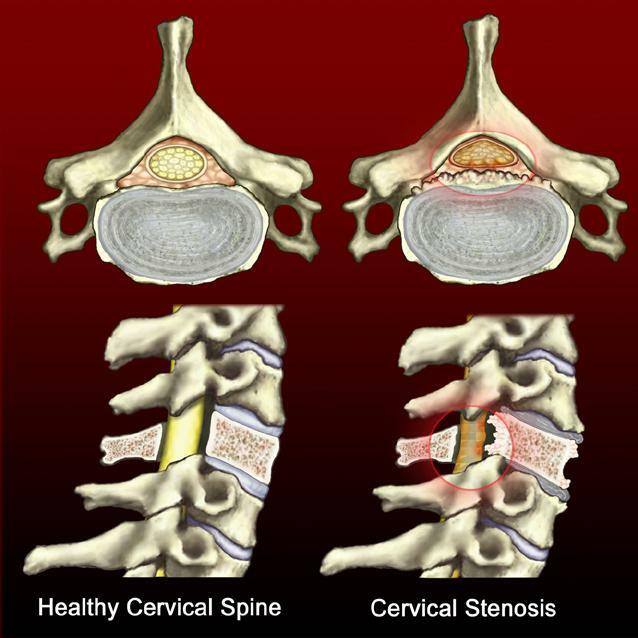 For those unfamiliar with the condition, cervical spinal stenosis is the abnormal narrowing of the spinal canal, which causes restriction of the canal, and ultimately results in numbness, pain, and in many cases, loss of motor control. For Yang Xue-bin, the symptoms came on quickly and hit extremely hard. He had no idea that he was suffering from this condition until September 23, when he began noticing that his legs were going numb. Then he realized that he was having a very difficult time walking, before ultimately needing a wheelchair to get around. This all happened in a matter of weeks, as Xue-bin was quickly diagnosed with cervical spinal stenosis. “I feel that my life was going to be end up with me sitting in the wheelchair,” explained Xue-bin, in talking about how he felt prior to the surgery. This is the first time that we are aware of a case in which 3D printing technology has been used for the treatment of cervical spinal stenosis. 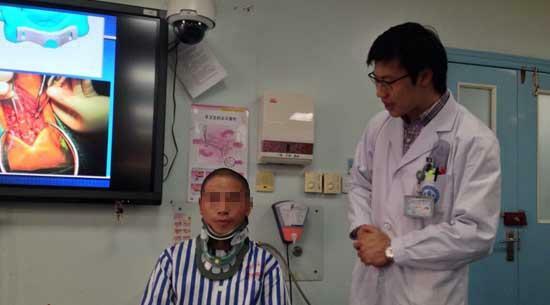 In Xue-bin’s surgery, surgeons had to use various drilling and grinding tools to operate on the cervical vertebra lamina area, and cut two slots. 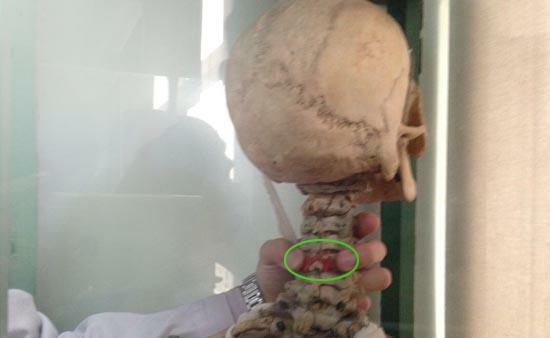 Before the surgery, they needed to determine the exact slot position that would be cut in the lamina. If they did not do this correctly it could have led to permanent damage to Xue-bin’s spinal cord. To make sure the surgeons were completely prepared for this complicated procedure, the team 3D printed surgical guides using a CT scanner to reconstruct a model of Xue-bin’s spine. This data was then converted into 3D printable files, and a 3D printed guide plate was created. This plate was placed in the surgical area during the operation, and allowed surgeons to accurately and precisely place slots in the lamina, using holes already on the 3D printed guide plate.